Not a fan of Select and Mask? This tutorial shows you where to find the Refine Edge command in the latest versions of Photoshop, including Photoshop CC 2018. 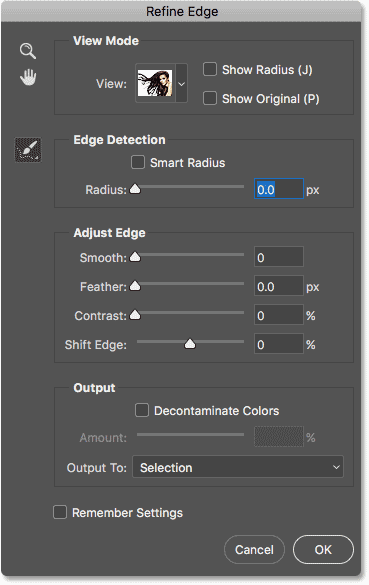 Back in Photoshop CS3, Adobe introduced a promising new feature known as Refine Edge, designed to improve upon our initial selections. In Photoshop CS5, Adobe updated Refine Edge with new tools and features. Suddenly, complex selections like hair and fur were now as easy as dragging a brush, and Refine Edge became the standard tool for removing a subject from its background. Refine Edge worked great, and everyone was happy. But in Photoshop CC 2015.5, Adobe replaced Refine Edge with Select and Mask, a new all-in-one workspace for both making and refining selections. Adobe claimed that Select and Mask was better than Refine Edge, but not everyone agreed. Many Photoshop users argued that Select and Mask was in fact worse, as they were unable to achieve the same results as before. To their credit, Adobe listened, and continued work on the Select and Mask engine. An enhanced version of Select and Mask was released with Photoshop CC 2017, and the latest update is included with CC 2018. But many Photoshop users remain upset that Refine Edge was taken from them, still convinced that Refine Edge worked better. So, Adobe now admits to a little secret. As it turns out, Refine Edge was never actually removed from Photoshop. Adobe simply removed any obvious way to access it. If you're a die hard Refine Edge fan, good news! 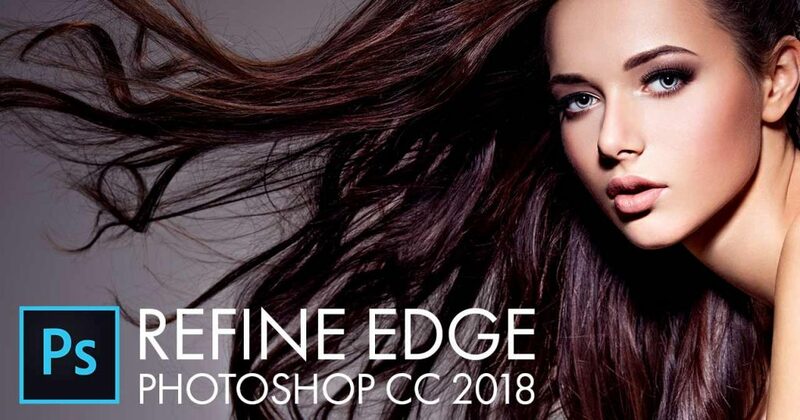 Refine Edge is still available, even in Photoshop CC 2018. Here's how to find it! Before you access Refine Edge, make your initial selection. Step 2: Hold "Shift" And Choose "Select and Mask"
Hold Shift while going to Select > Select and Mask. The much-loved Refine Edge command was never far away. 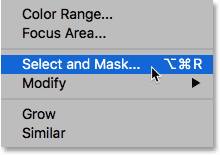 Related: Select your subject with ONE CLICK in Photoshop CC 2018! And there we have it! That's how to bring back the Refine Edge command in Photoshop CC 2018! And speaking of CC 2018, be sure to check out our step-by-step guide to learning the new Curvature Pen Tool, and how to upscale your images in CC 2018 with amazing results! Or visit our Photoshop Basics section for more tutorials!